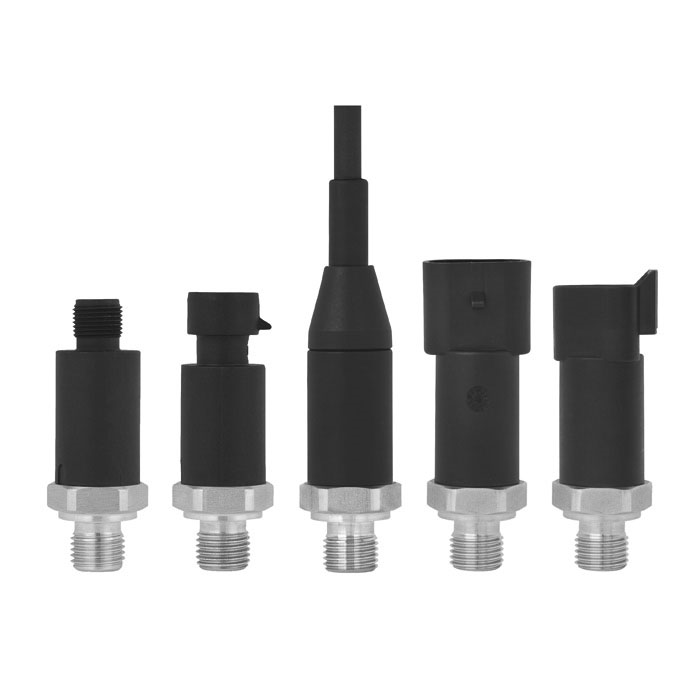 Shock and vibration resistance, resistance to pressure spikes (CDS system) and an ingress protection of up to IP69K make the model MH-3 pressure sensor especially qualified for the harsh operating conditions in mobile hydraulics. Even extreme temperature shocks do not affect its performance. The case is made of a highly resistant glass-fibre reinforced plastic (PBT). This material is successfully used within the automotive industry. A metallic shield inside the instrument provides excellent EMC characteristics in accordance with EN 61326, thus ensuring reliable operation, even under high exposures of up to 100 V/m. The hermetically-welded thin-film measuring cell ensures long-term leak-tightness, without the need for additional sealing materials.Especially in applications with high dynamic load cycles, the thin-film measuring cell features high long-term stability and load-cycling resistance. Our manufacturing concept is optimally designed für the production of OEM needs. Also customer-specific modifications of the instuments are possible. As a measuring instrument of the latest generation, the MH-3 features a diagnostic function. By means of the output signal, fault conditions can be detected and evaluated via software. Thus it is possible to differentiate between permanent and temporary faults.